This darling swing is the perfect prop sure to create those old childhood memories. This prop is great for indoor or outdoor use. 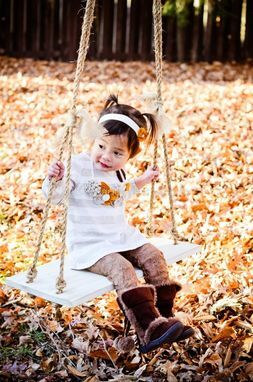 Children and Babies would be a perfect fit for this beautiful swing just in time for those amazing fall colors. It is painted in a cream white and given an aged distressed look. If you would like this swing in another color simply send me a message with your order.